You are here: Home / Therapist Marketing Tips / Are Therapist Directories Worth the Money? Are Therapist Directories Worth the Money? Yes they are. But also, no not really. Let’s break it down. But before I dive into this question – a question all therapists have asked since the dawn of therapy (I imagine Freud and Jung had some hot debates about it) – I first need to provide some fun disclosure. My name is Jeff and I make therapist directories. The first one was a local site for Portland, where I live and work. And the second one is a national site that has just launched. I’ll talk a little more about them as you read, but I am here to be unbiased and honest in my critique of therapist directories. I promise not to let any counter transference get in the way of my writing. As therapists, we all know how complicated our relationship with money can be. Most therapists typically set aside some monthly cash to be used for marketing efforts, but we all have different ways of determining how much we should spend and what we expect to get back in return. Some therapists, me included, look at our dollars like little soldiers that we send out into the world and expect to get a reasonable return. If I am giving a therapist directory $30 a month, which equates to $360 per year, I better get at least one regular client per year. I would then make a very nice return on investment (ROI). And if I get even more than one regular client, my ROI will be even higher and I’ll be even more satisfied. Strictly focusing on ROI makes financial sense, but that’s not how most therapists think. In my experience, most therapists choose a set amount of money – whether it is $30 a month or $300 a month – that they feel comfortable spending on marketing services. If you’re on the lower end of the scale and only pay $30 a month, then you’re probably only signed up for one therapist directory, and that directory better pay off in a big way. Personally, I would like to encourage you to spend more if you’re only choosing to spend $30, but I understand that when you’re launching a practice there is a feeling of scarcity around money and it could be scary to double or triple down on a marketing budget when you don’t have enough money coming in to pay rent on your office space. As we move forward and I talk more specifically about directories, I am keeping the more frugal therapist (who doesn’t feel okay about spending a lot of money on multiple directory listings) in mind. And even though I have titled this article “Are Therapist Directories Worth the Money?”, I’m also going to talk about other reasons you might pick one therapist directory over another. Because there are plenty of good reasons to invest in a therapist directory that might not be the one that keeps showing up at the top of Google search results. In no way am I going to cover every single therapist directory out there. You may not know it, but there are hundreds of online directories for therapists to list their practice. If you’d like to see a list of most of them, check out my friend Daniel’s list of online directories for therapists. Today, I’m just going to cover a handful that you have probably heard of. I have a lot of strong and mixed feelings about Psychology Today. I know I said I’d try not to be biased, so I’m going to do my best to manage them. If you want to see some of my uncensored thoughts on Psych Today, you can read about them here. When it comes to ROI, I think Psychology Today has got you covered. They have strong brand recognition among the general public and they consistently rank high in online search results. So yes, I’d have to say that it’s worth your money to advertise with them. However, they don’t have a mission or story that I can get behind. Which isn’t a crime, I guess, but in this day and age it always feels good when you know you’re giving your money to a company that cares about issues that really matter. Psychology Today is in it to win it. 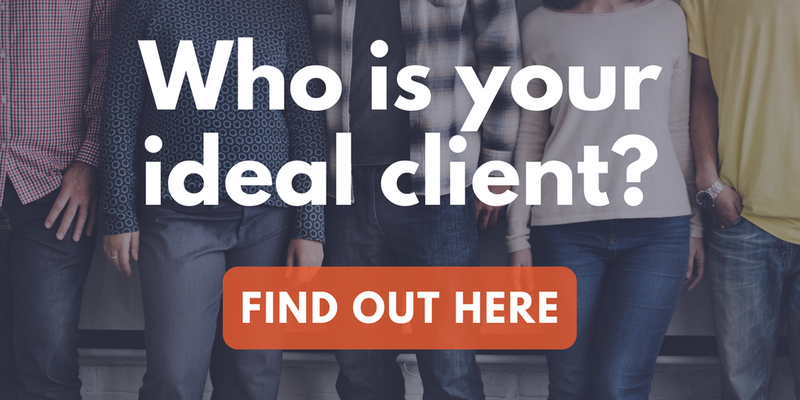 They want your money and they want to get you client referrals. That’s it. As a business person, I can respect that. As an emotional and caring person that wants companies to make an positive impact on the world, there is something lacking. GoodTherapy is a popular directory that has a ton of therapist profiles. Even though they don’t rank as high as Psychology Today in online search results, which typically leads to less client referrals, they do make up for that by providing free CEU’s. So that’s something to really consider. It definitely a nice perk. Not only do you get a decent ROI in client referrals, you also get a great ROI on CEU’s. Something else that separates them from Psychology Today is that they have a clear mission and value statement. In a nutshell, they challenge mental health stigma and promote ethical therapy. It’s not clear to me that they donate any of their profits to organizations that support their mission, but they do have a page where you can donate your money to organizations they approve of. So that’s something. I guess? These next couple directories not only do things differently, but they also have a clear mission that has guided how they created and developed their sites. I like how the Open Path Collective therapist directory is different. We need different directories with unique ideas that attempt to meet the needs of today’s potential clients. Open Path Collective does this by asking all therapists that sign up for a profile to promise to only charge client referrals from the site between $30 and $50 a session. And it’s completely free to create a therapist profile. They have an interesting business model where they charge the client who is looking for a therapist. If a client wants to reach out to a therapist, they first need to pay a $49 membership fee. So essentially the client needs to pay the price of a full sliding scale session in order to even reach out for an appointment. Which is sorta funky since the client is the one that might be tight on money. But again, I like how they’re trying something different. The ROI for therapists is through the roof since it’s free to create a profile. However, a therapist might not want to fill their caseload with a bunch of clients they have to see on a sliding scale fee. Besides the ROI, you can also feel good that you’re supporting a mission that caters to people who might not be able to afford full priced therapy sessions. As they say on their site, they are “dedicated to leveling the current mental health playing field by reaching the growing number of Americans who earn too much to qualify for subsidized psychotherapeutic services and too little to pay for private psychotherapy.” That group of people shouldn’t be left out of receiving quality care and Open Path Collective does a good job of catering to those folks. As I said at the top, I have created a couple directories and TherapyDen is one of them. It’s a new national directory that does things a bit differently. TherapyDen has a mandate to challenge racism, homophobia, transphobia, and other forms of discrimination. TherapyDen works hard to promote awareness of the special skills that therapists have to offer support for minorities, disenfranchised communities and the general public, making it easier for all populations to find a good counseling match, including communities of color and the LGBQ and Trans communities. Therapists that sign up for a profile can also choose from five different organizations that 10% of their monthly fee will be donated too. Currently, TherapyDen is free for therapists to sign up and create a profile. However, therapists will eventually have to choose either $20 or $30 monthly payments. The ROI right now is high since it doesn’t cost anything. However, it could take six months or so for TherapyDen to compete with Psychology Today in the online search arena. So even though therapists are supporting a good cause and a strong mission, client referrals will be low for a while since it’s a brand new site. It’s definitely something to check out and at least keep an eye on to see how it performs in the future. Almost five years ago, I created a local therapist directory. The directory, Portland Therapy Center, regularly out ranks Psychology Today in Portland. It’s also half the price at $15 per month. If your town has a local therapist directory it’s a good idea to sign up with them. Even if it’s not the snazziest of sites, it can still out perform big national ones because they are so hyper local and Google loves local websites. The ROI on local directories is typically pretty high since it’s more affordable to sign up and the client referrals can sometimes match the amount you get from Psychology Today. Plus, you know that your monthly payments are going to your local economy. So that can warm the heart a bit. Want to find out if there is a local therapist directory in your neck of the woods? Again, you should check out Daniel’s list of therapist directories to find out. Love them or hate them, there are so many different options for online directories because they actually work. There’s just something about them that fits perfectly with our profession. Clients tend to take their time when reaching out for a counselor and browsing through therapist directories helps them do this. Directories are typically really easy to filter for specific needs that clients find important. And people can do it in private all on their own instead of having to announce to friends and families that they are struggling with a mental health issue and need a good therapist recommendation. Since online directories are going to be around for a while, I say you should embrace them. I think therapists should choose a local directory and two or three national directories that are good at attracting clients and match your values. And if for whatever reason it’s not working out, you can always find a new directory to test out. And if none of them seem to be exactly what you want. You can go my route and start your own! Jeff Guenther, LPC, is a therapist in Portland, OR. He has been in private practice since 2005 and writes articles on how therapists can attract more clients and fill up their practice. Jeff has launched a new inclusive therapist directory at TherapyDen. Subscribe to Jeff's newsletter at therapyden.com for weekly tips on growing your business and attracting more clients. Check out his podcast, Say More About That to listen in on what clients really want from their therapist.